Featuring state-of-the-art, individually lined pedicure stations by Belava, the #1 in nail care hygiene. Did you know that the typical pedicure station cannot be fully sterilized between clients? Each Belava unit is individually lined, so your skin will never come in contact with another's. So sit back, relax and enjoy pure relaxation and peace of mind. Here's to happy, healthy, and beautiful feet! Our hands reach out and touch the world and all that we do—feet carry us daily and connect us to the earth beneath. We believe that caring for your hands and feet is essential, and our Licensed Nail Technicians take the time to do so effectively. Each luscious treatment will leave your skin and nails in true 'bleu' health and beauty. In a hurry? Our petite treatment will leave your nails polished and ready in no time. Includes express buff, file and polish application. Petite treatments last approx 30 minutes. 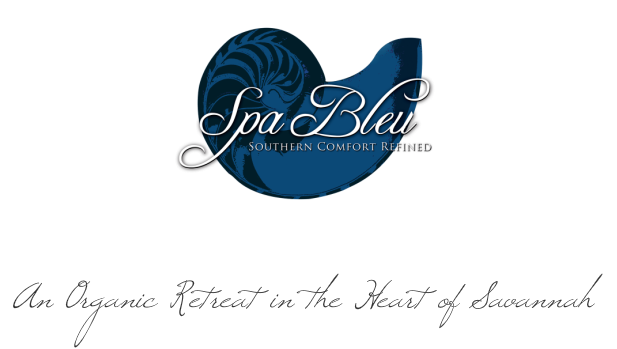 For a more thorough treatment with extensive cuticle care, massage and more, we recommend the Spa Bleu Manicure or Pedicure. Warm bath, full shaping, cuticle care, scrub, massage, and a lustrous polish application. Mani is approx. 45 mins to 1hr. Pedi is 1hr & includes hot stone massage. The gel hybrid polish everyone is talking about. Paints on like polish, cures under light, instant dry, and lasts for up to two weeks! Non-toxic and non-damaging to the nails. Tension and fatigue melt away as you enjoy a salt & sugar scrub infused with organic healing oils, an extended relaxing massage & full nail care w/polish application. Experience the ultimate in luxury with Savannah Bee Company Honey. Deeply hydrating and restorative - full nail care, polish, exfoliation, hot stone massage, & a hydrating strawberry rhubarb mask from Eminence Organics. A sweet treat fit for royalty!